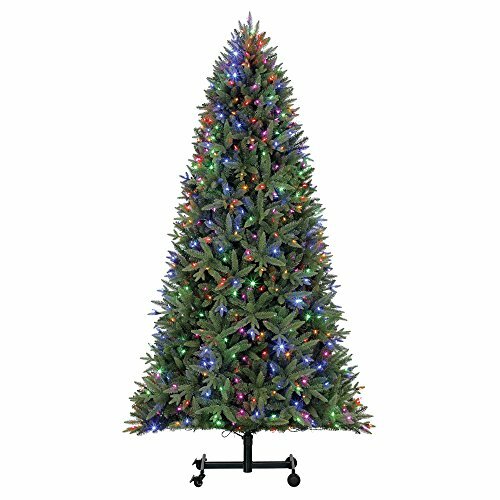 Christmas is bigger and better than ever with the Home Heritage 7.5-Foot Artificial Alaska Grow Dual Colored Light Christmas Tree. A statuesque beauty, this artificial Christmas tree features, lush, deep green needles that are perfectly complemented by dark brown stems. This splendid Christmas tree is adorned with 500 lights made up of multi-color and clear lights giving you more versatility with your Christmas decor. The magnificent profile with sturdy frame hold the plentiful branches in place. Made up of durable PVC, this striking Christmas tree is long lasting so you can continue to decorate your grand space.